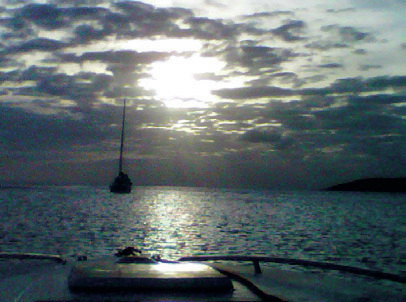 My last trip to Culebra was over eight years ago. Life contributed to my extensive absence from this island, but it was life that brought me back to it. 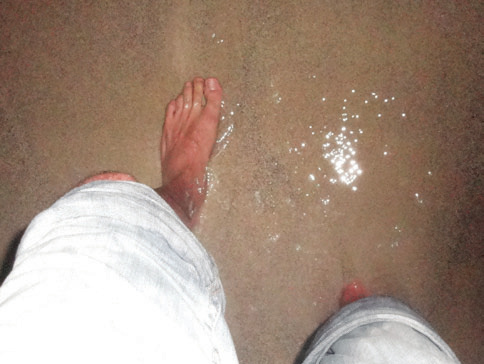 The purpose of this story is to thank Culebra and its residents for this new aura in my life. Sometimes life kicks you in the gut and it seems there is no positive outcome in sight. After months of dealing with many situations I finally decided to let everything go. Lucky for me, I know the Staff of “En Culebra Magazine”, who invited me to the distribution of their Magazine’s second issue and a backstage view of all the work they do to give all their readers a glimpse of Culebra’s beauty. The invitation was supposed to get my mind off things but it served for a lot more. Our first night, we went out to distribute a few magazines. “The Spot” a cozy bar at the entrance of town became our refuge for the night. Fede, the owner poured a round and joined us for some laughs and conversations. Shortly there after a short, barefooted, surfer looking, character walked through the door. “Chiquitin” (little one) as he was introduced to me, became the life of the party sharing personal anecdotes, life lessons, jokes and social views with anybody who would listen. Fede’s wife, Alicia, Javi from “Juanita Bananas”, Juan a local celebrity and a few others joined our evening. I felt like the new comer in “Cheers”; were everybody knew everybody’s name and tried very hard to learn mine. Our fi rst night ended stargazing at Zoní, a beach that offered an immediate connection to nature. Saturday morning we distributed more magazines and allowed ourselves to enjoy a beach called “Punta Soldado”. A great beach for snorkeling also offered a great opportunity for sunbathing. Our relaxed afternoon was followed by an amazingly delicious dinner in Susie’s, a meal that cannot be described in words except to say that it left us in what was explained to me as a “food coma”. The annoying task of packing for the trip back to reality finally arrived. The trip served as a reminder of how warm, caring and friendly the Culebra residents are to anybody who is lucky enough to come into their lives. I truly needed time for myself and I thank my friends for taking me to a place were I could have some peaceful, and refl ective time for myself while at the same time never feeling lonely. The Culebra experience gives everyone something different; it gave me a life lesson; when you think you’re sinking in the sand, remember that all you need to do is take that fi rst step forward.